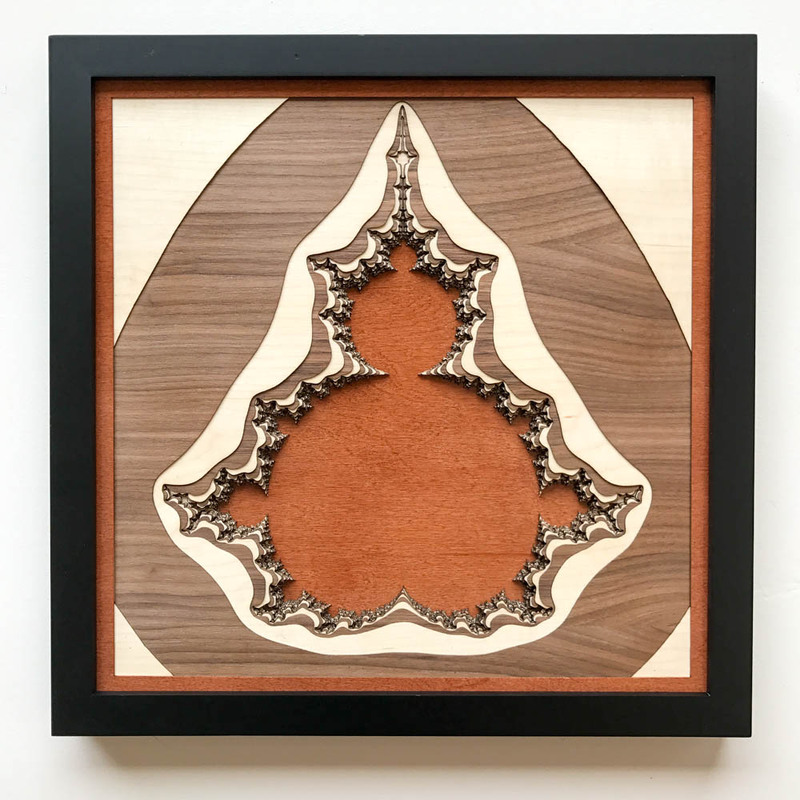 For this piece I calculated the boundaries between different rates of divergence of the Mandelbrot set. 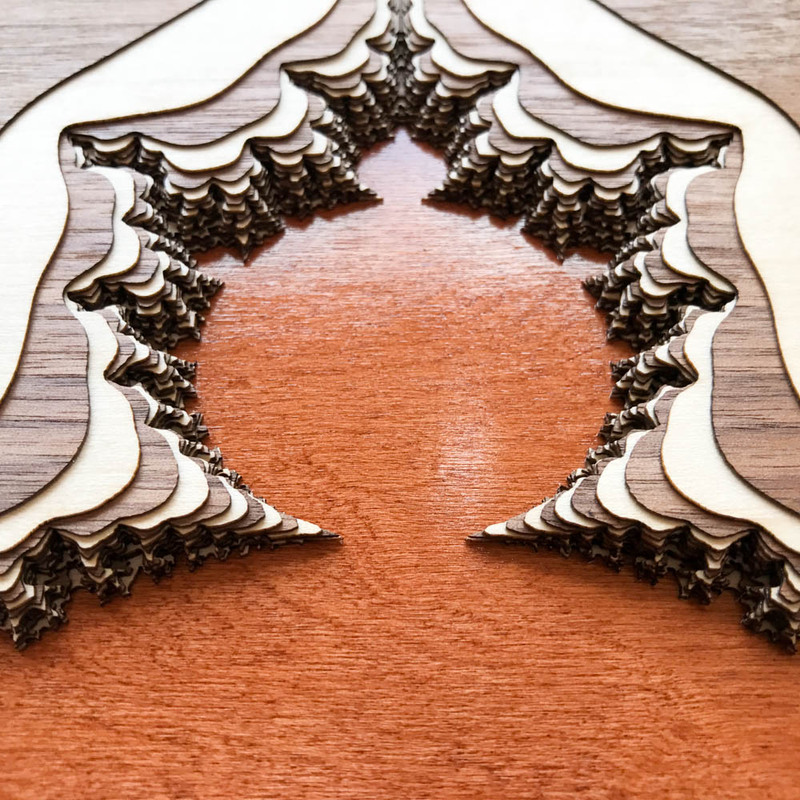 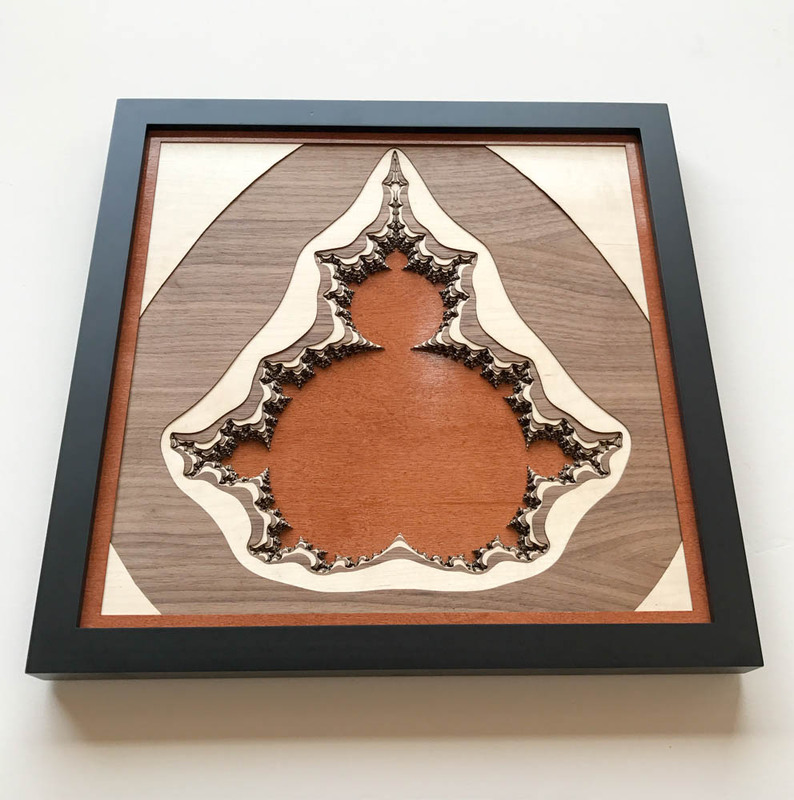 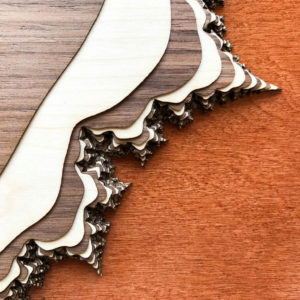 I cut those boundaries into alternating layers of maple and walnut hardwood, stacked them together, and now I have a beautiful 3-dimensional Mandelbrot set. Woo!